The newest entrant in the nascent market for on-demand warehousing is the owner of a Chicago-based trucking company who said he wants to use technology to help reduce the time that drivers spend waiting for freight to be loaded and unloaded. 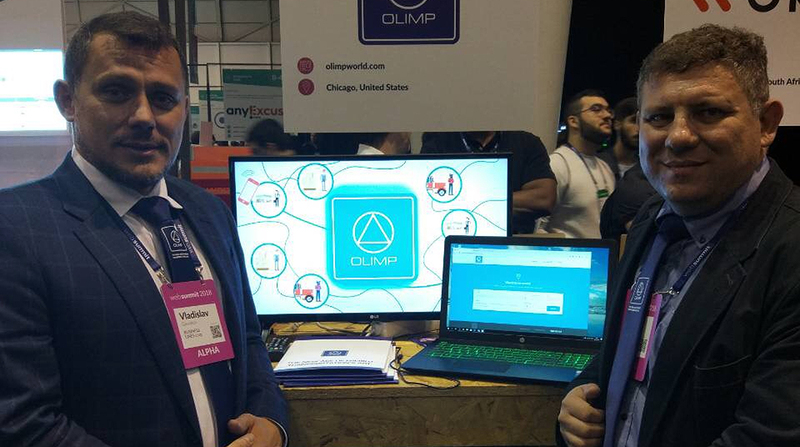 Vlad Gasnikov, CEO of Business Lines of America Corp., is currently beta testing an online platform called OLIMP that provides access to space for temporary storage and cross-docking of goods for local delivery. The name OLIMP, he explained, is an abbreviation of Operational Logistics Improvement to Mutual Performance. Unlike other startups that are mainly focused on helping companies find temporary storage space for goods, Gasnikov said the OLIMP platform will allow drivers to bid on loads to be delivered locally or transported to another warehouse across the country. Drivers could also use the network to pick up partial loads or to make local deliveries. By handing off freight from one driver to another, Gasnikov said that he believes the system will allow drivers to travel much farther while staying within the legal limits of 11 hours driving and 14 hours on duty each day. By keeping goods in motion and eliminating wasted time associated with pickups and deliveries, Gasnikov figures that drivers could boost their average annual miles from what it is now, between 100,000 and 110,000 miles, to more than 150,000. Gasnikov said there are 11 warehouses participating in beta testing and that the system will be available to the broader market sometime in December. OLIMP is the latest in a series of startups aimed at helping shippers find space in warehouses on an as-needed basis. The most prominent player is Flexe Inc. Launched in 2013, the Seattle-based tech company claims to have a network of more than 900 warehouses in the United States and Canada that use its software to rent unused space. Founder Karl Siebrecht says more than 20% to 30% of warehouse capacity is underutilized and on-demand, or “pop-up,” warehousing could eventually account for one-third of total warehousing activity. A more recent startup in the business of on-demand warehousing is a company called Stord. Based in Atlanta, Stord also provides software that can be used by warehouse operators to market surplus space to companies that are unwilling or unable to commit to long-term contracts. Companies like UPS Inc. and XPO Logistics are also getting into the business. Atlanta-based UPS recently launched a digital fulfillment and warehouse matching service called Ware2Go. XPO Logistics has increased the number of its warehouses that offer space to multiple tenants. Stowga, based in London, recently raised 1.5 million euros in seed financing and signed a deal with the international real estate firm CBRE to rent out empty space in warehouses in the United Kingdom with plans to expand to Germany, France and the Netherlands. Karen Erickson, a warehousing expert at Armstrong & Associates Inc., a logistics industry research firm, said the trend is being fueled by e-commerce in which a premium is placed on fast delivery and volumes can fluctuate wildly. Although the cost of on-demand warehousing is typically much higher than conventional warehouse space, Erickson said the advantages of not having to sign long-term contracts makes it worthwhile for many small and midsized companies.